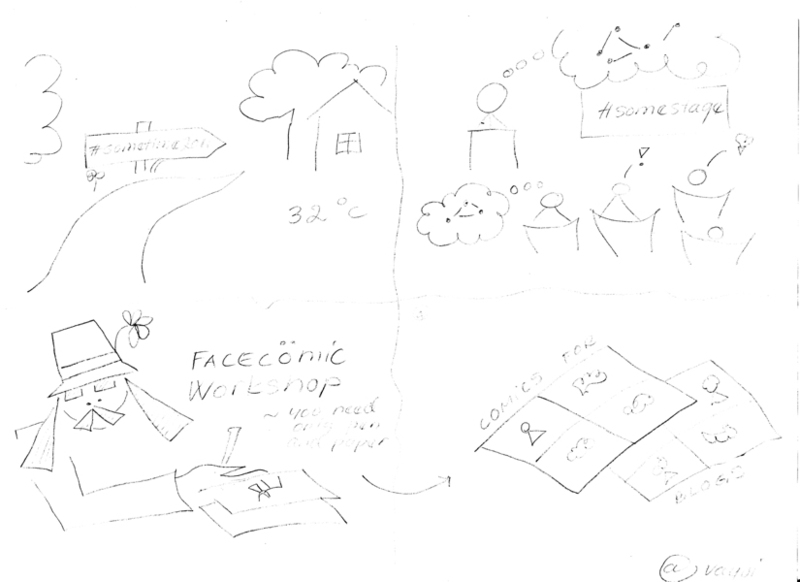 Here are the comic blogs that participants drew in SomeTime2011 Facecömic Work Shop on Saturday 11.6.2011. Some took their comic blogs with them. Please scan and send the pictures to me, and I will publish them all here. 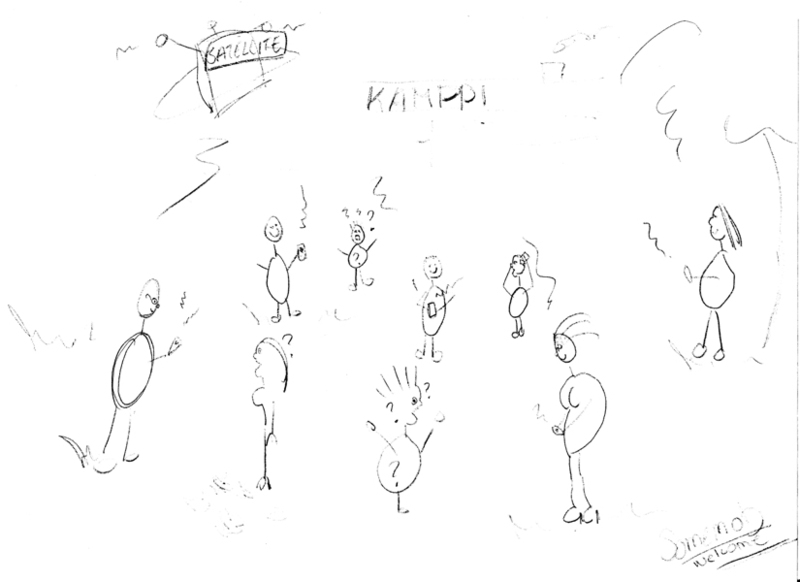 Skandika's comic blog was very clear and fun. She used well visualization. 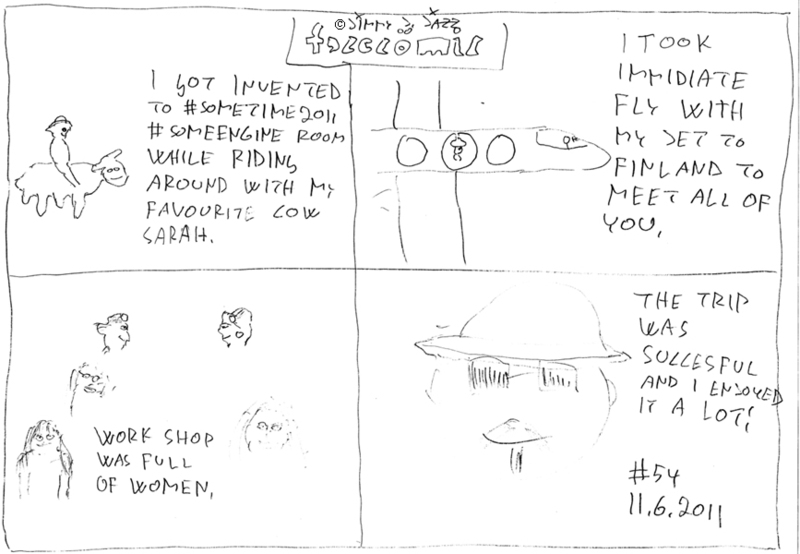 Vayvi's comic blog was the best in this work shop, she draws a lot of better than I do. This was so clear, a full professional work. I hope that you do comic blogging and if not, you must definitely start right away! anonymous' comic blog was very symbolic. She said that this comic blog is clear to those who know her and to others is it not. Very strong expression!